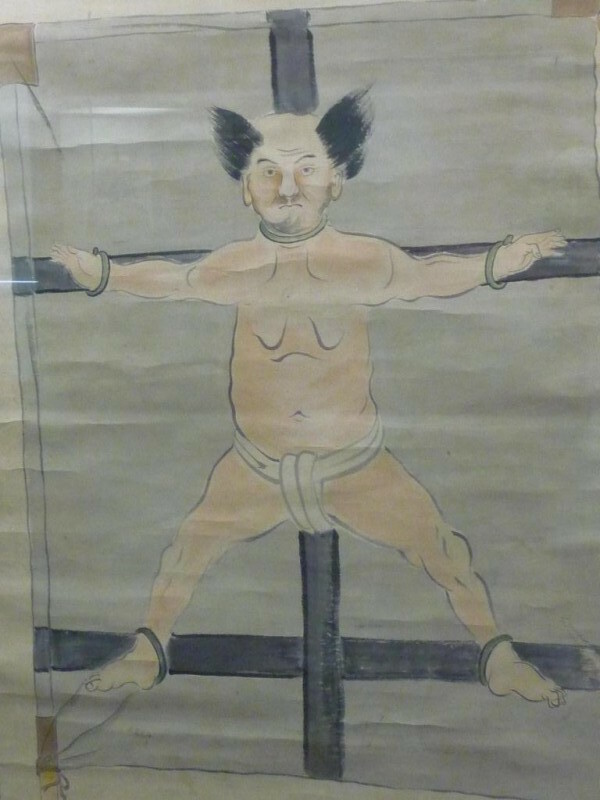 The Takeda were the most feared samurai cavalry army of the 1500’s. But they were decimated in one of the greatest of samurai battles, and Japan’s first major gun-battle, Nagashino, fought in 1575. 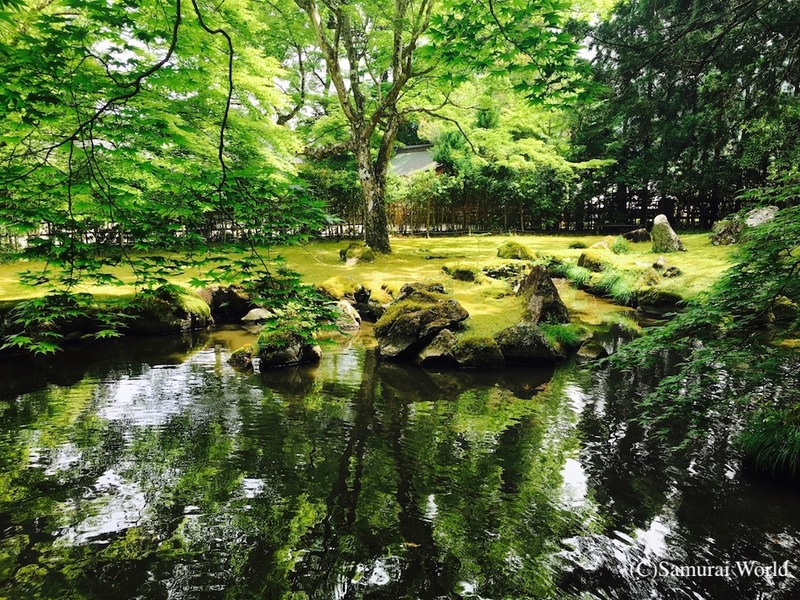 Takeda Katsuyori was the son of the once feared and much admired Takeda Shingen, one of Japan’s foremost warriors. 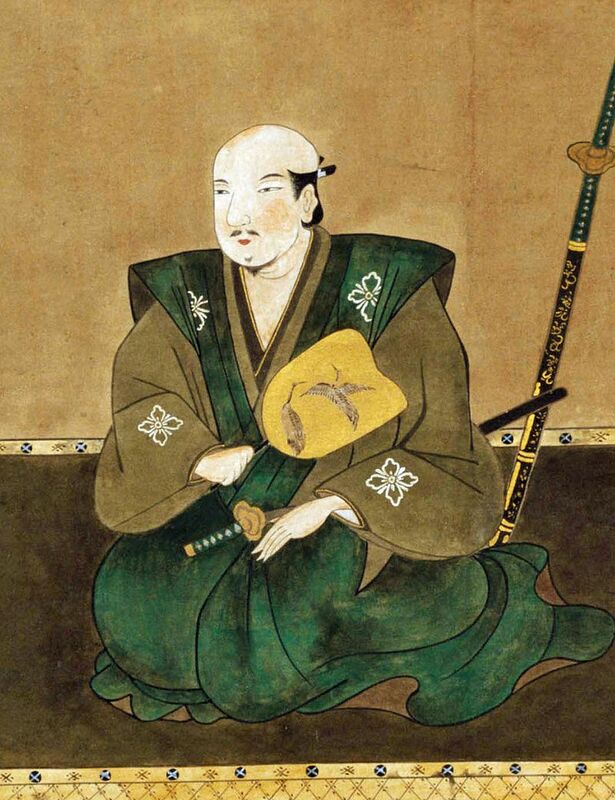 Since his fathers’ death two years earlier, Katsuyori had been attempting to realize his father’s plan of capturing Mikawa, the modern-day lands of eastern Aichi Prefecture, owned by Tokugawa Ieyasu. 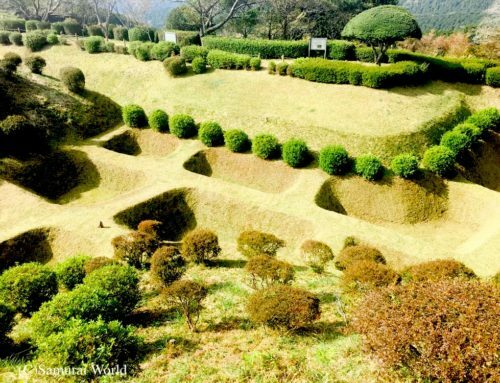 In May of 1575, 15,000 Takeda forces had entered Tokugawa territory and at first laid siege to Yoshida Castle in modern-day Toyohashi, but failed to bring the sturdy castle down. Instead, they abandoned their attack on Yoshida, and heading north, surrounded Nagashino Castle, laying siege for just over a week before a low-ranked but brave ashigaru by the name of Torii Suneemon volunteered to leave the castle and call for back up from Tokugawa Ieyasu in Okazaki. He successfully exited the castle one night, and swam the swift flowing river, all the while avoiding the nets cast by the Takeda to prevent such escapes. 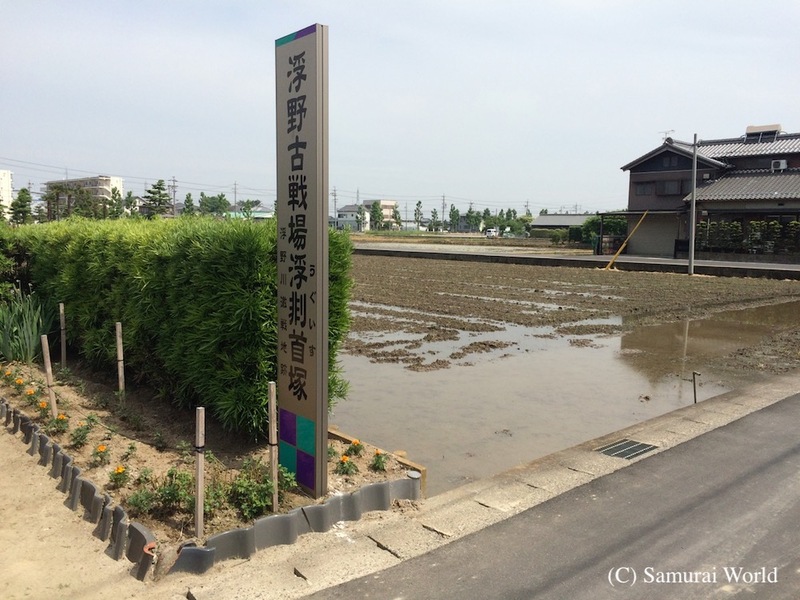 He then ran the 35 kilometers to Okazaki. 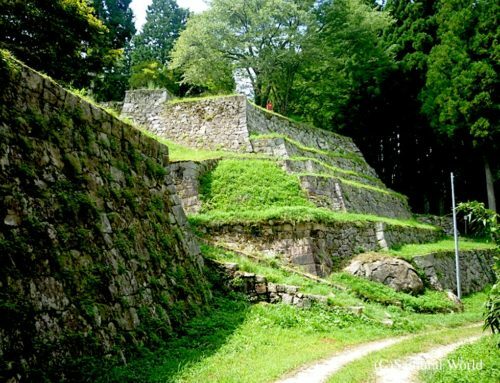 After alerting Ieyasu and requesting reinforcements, the 35-year-old Torii quickly returned to Nagashino where he was captured trying to sneak back in to the castle. Upon his capture, Torii was bound spread-eagled with straw ropes on a double horizontal-beamed wooden cross, and put on display across the river from Nagashino Castle. “Tell them reinforcements aren’t coming, tell them to give up the castle and come out!” hissed one of his captors. Torii that he wore from that day on in his memory. Despite being a lowly ranked Ashigaru, or foot-soldier, Torii was posthumously promoted to the rank of full hereditary samurai. 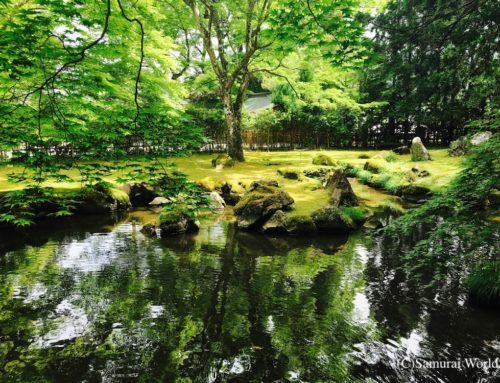 His efforts would lead to one of history’s most famous samurai battles. The Tokugawa and allied Oda forces arrived at the scene a week later with 38,000 warriors. 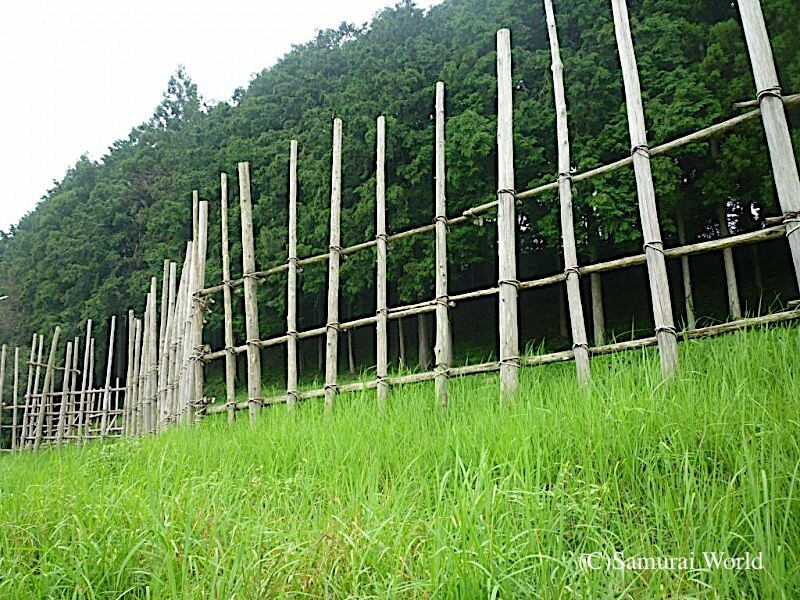 Interestingly, along with their weapons and armor, each Oda samurai carried a long, thin wooden log with them. These logs were used to build two kilometers of simple wooden palisade along the western side of the valley at the foot of the rolling hills. Running through the middle of the valley was the small Rengo River. Either side of the river were rice paddies. 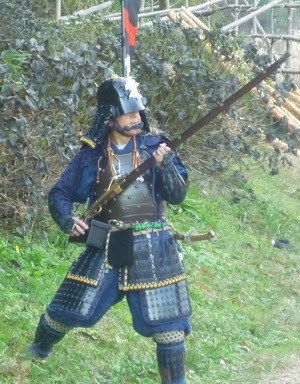 On the opposite, eastern side, the Takeda had arranged themselves into battle formations on the slopes of the low mountains, their front line troops were dressed in menacing, red lacquered armor. 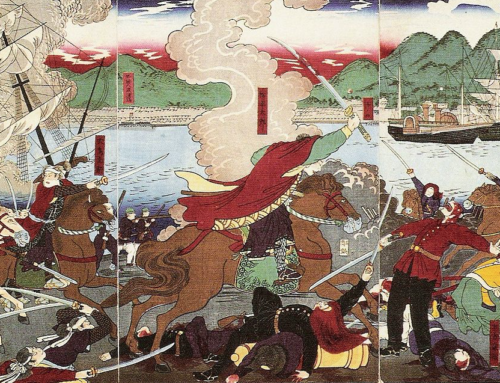 The Takeda’s feared cavalry had soundly defeated the Tokugawa at the Battle of Mikatagahara in 1573, and they were confident of another victory. The battle commenced on the morning of May 21, 1575, with the Takeda making their charge, horsemen galloped ahead with running, screaming samurai close behind. They were slowed by the soft muddy rice paddies, then by the small Rengo River, and then forced to cross more rice paddies before reaching the hastily built log fence. Hardly any of them got that far. Behind the wooden fencing waited some 3,000 Oda troops armed with matchlock guns. The matchlock gun had been introduced to Japan only thirty years earlier by Portuguese traders, but already the firearm had been embraced by the samurai. The matchlock riflemen felled them immediately in a great blast of gunfire! Katsuyori knew that the guns took at least 45 seconds to prime and reload under ideal conditions, and that battle conditions were far from ideal. 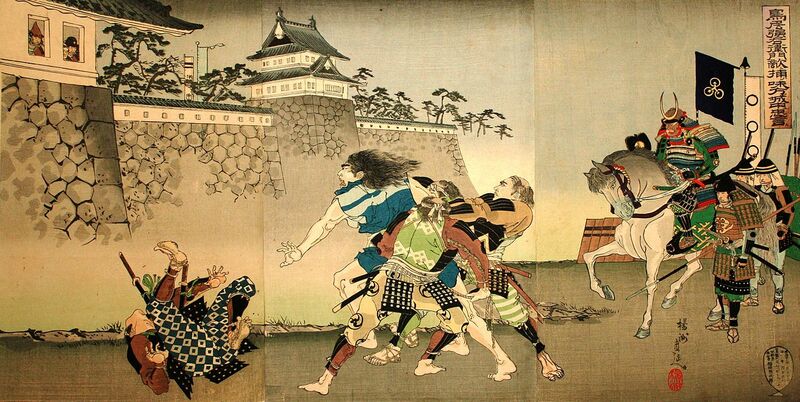 After the first volley, he quickly sent a second wave of samurai into the fray. Within seconds they were killed by more matchlock fire. 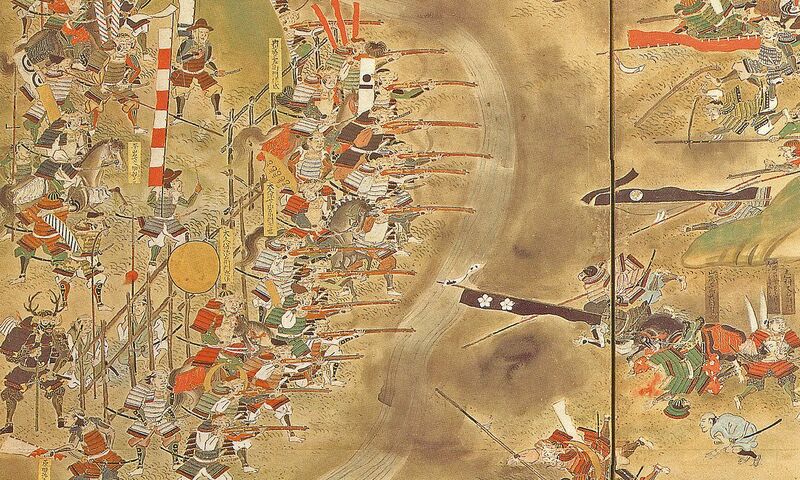 Katsuyori, shocked, sent yet another line of troops, but they too were mown down before they could reach the river. The story goes that the innovative Nobunaga, realizing the projectile weapons’ shortcoming, had organized his gunners into lines or groups of three around the barricades. After the first guns were fired, the second line took aim and shot. Once their breaches had been emptied, the third line took aim and fired. By then, the first line had reloaded and were ready to continue shooting the enemy, in a continuous volley of machine gun-like fire. Recent research has suggested that rather than three lines, it may have been that Nobunaga had organized his gunners into groups of three, one to shoot, the other two working to reload and prepare the guns in rotation. Any Takeda samurai nearing the palisades were stopped by ashigaru foot soldiers with long spears stabbing through the stockade. Samurai with swords, spears and halberd-like naginata engaged any Takeda warriors making it to the fence line. The Takeda kept charging, and the Oda kept firing and fighting. Eight hours later, the bloodied bodies of 10,000 Takeda and 6,000 allied troops lay dead across the valley. 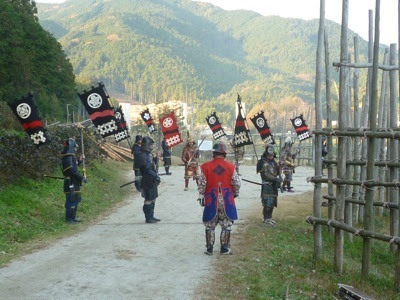 The much feared Takeda clan had been decimated and would come to an inglorious end seven years later. Today, a few hundred meters of the wooden palisades has been recreated by the Shinshiro City Council providing an example of what it would have been like over 400 years ago. 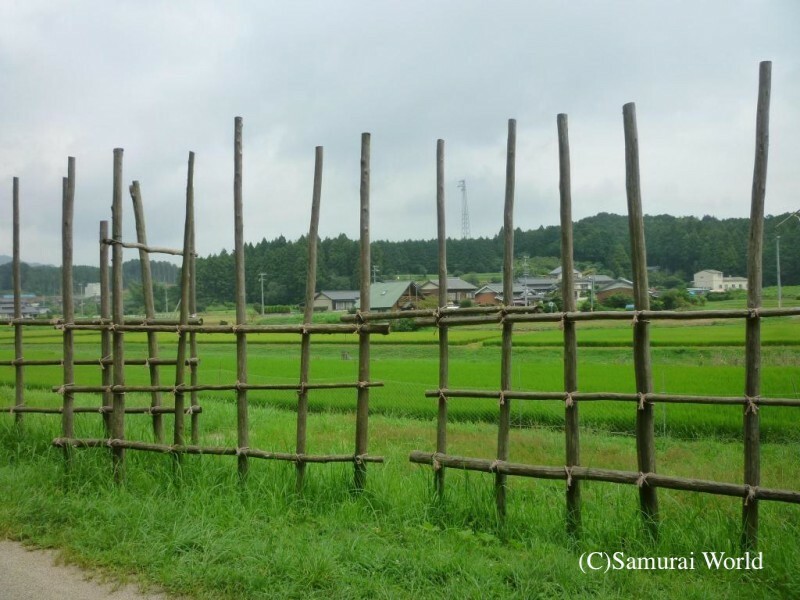 From the palisade you can look out over the rice paddies and Rengo River to where the Takeda launched their attack. The command posts of the various generals on both sides can still be visited. Maps with the details of the sites and memorial stones are available, however information is available in Japanese only. 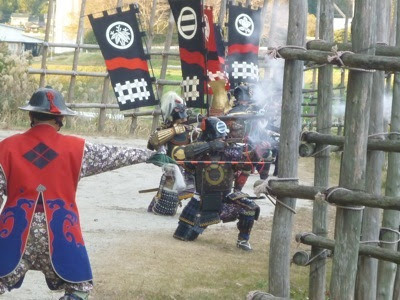 Every May, members of the Nagashino Teppotai, antique matchlock gunnery team don their samurai armor and with antique matchlock guns in hand, recreate the battle. The guns are loaded only with gunpowder, but a loud bang, a shower of sparks and clouds of thick smoke provides for some exciting entertainment. More demonstrations happen in July, and again August 15 when a fire dance is held as part of a memorial service for the war dead.